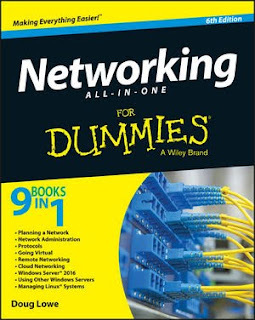 If you're responsible for a network, large or small, this book is your one-stop resource for all the essential details you need to know. Fully updated to cover Windows 8 and Windows Server 2012, it features the latest on broadband technologies, storage, backup procedures, and all the current networking trends. Nine handy minibooks cover the basics, building a network, administration and security, TCP/IP and the Internet, wireless networking, mobile networking, Windows Server 2012, using other Windows servers, and managing Linux systems.